We installed the large boardroom table, below, 19’L x 6’W, for the Norwalk based ad agency Inspira. 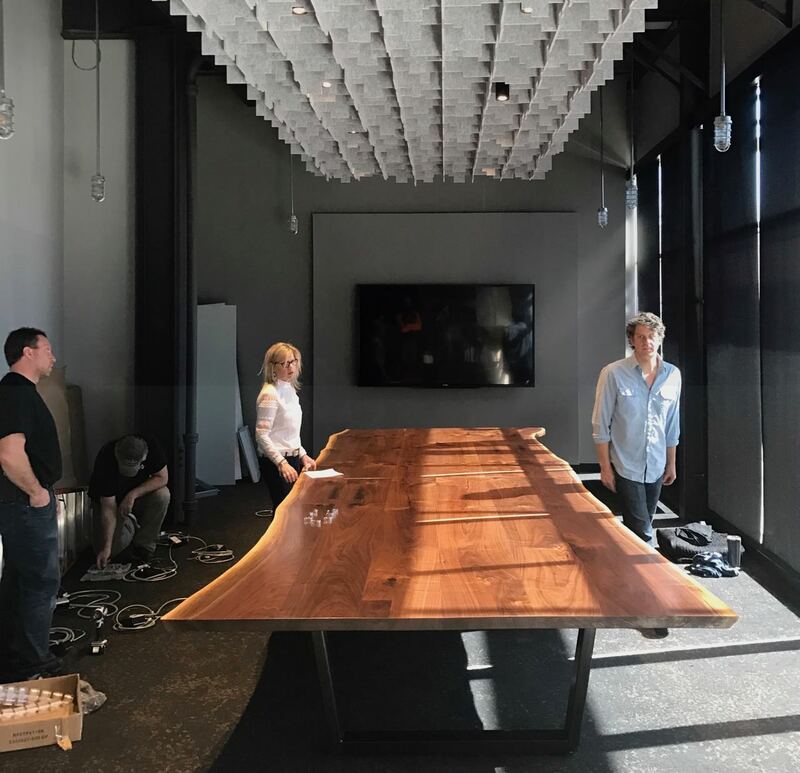 In addition to the the boardroom table we also installed a large bar top and 50 mixed oak work station desktops. The new offices were truly inspired with the help of De Clerq Office Group. We were happy to play a role in making such a great working environment.